Am I Candidate for Porcelain Veneers? Porcelain veneers are thin shells of porcelain that are attached to the front surface of the anterior teeth to mask cosmetic flaws. This treatment can help patients have uniformly aligned, bright, and attractively-shaped teeth. Many patients want to know if they are good candidates for porcelain veneers. These patients can schedule a consultation with Dr. Steven Hochfelder at his Lake Mary, FL practice. He will evaluate your smile and determine if porcelain veneers are right for you. An alternative to porcelain veneers is dental bonding. This cosmetic treatment involves applying a composite resin material to the tooth. The composite, much like a veneer, covers up dental flaws. There are some drawbacks to dental bonding, however. Namely, this treatment is designed to address smaller and less prominent problems, compared to veneers. Additionally, the resin material is not as durable as porcelain, nor is it as attractive and natural-looking. A porcelain veneer will have translucent properties and interact with light much like real enamel does, while composite resin does not have these attributes. To have porcelain veneers placed, your teeth will need to be altered. This typically involves removing some of the enamel to accommodate the veneer. Patients with little space between teeth, or patients who have larger teeth, may need slightly more enamel removed. Additionally, the veneers are cemented into place. For these reasons, porcelain veneers are considered a permanent cosmetic treatment. Veneers can last many years, if properly cared for. You will likely need another set of veneers down the line. Alternatively, another restoration, like a dental crown, can replace the veneer. In any event, the treated teeth will always need reinforcement from a veneer or restoration. 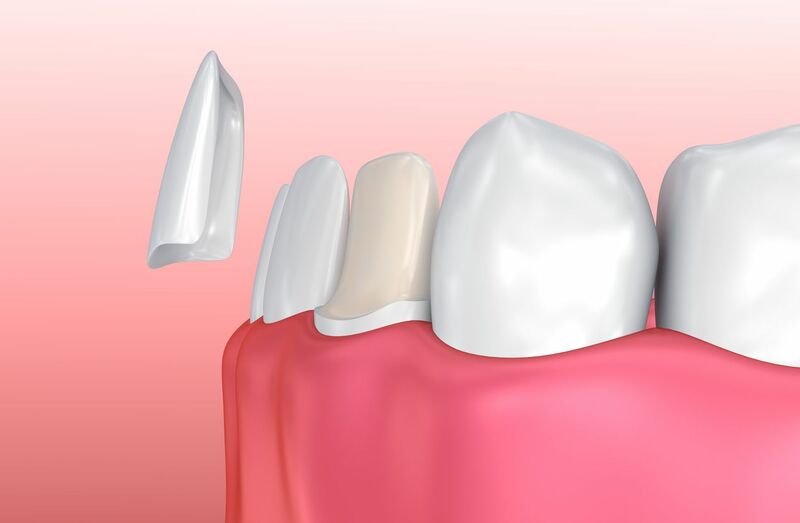 Porcelain veneers are a cosmetic dental solution, and are not recommended if the tooth needs additional support, such as that provided by a dental crown. In addition, any infections, decay, or trauma will need to be addressed before porcelain veneers can be placed. If dental concerns are not taken care of in advance of porcelain veneer placement, or if problems arise after veneers are placed, the veneer will likely need to be removed for treatment. Porcelain veneers can allow you to achieve the smile of your dreams. Find out if you are a good candidate for porcelain veneers by calling us (407) 321-8900 or scheduling your appointment online.